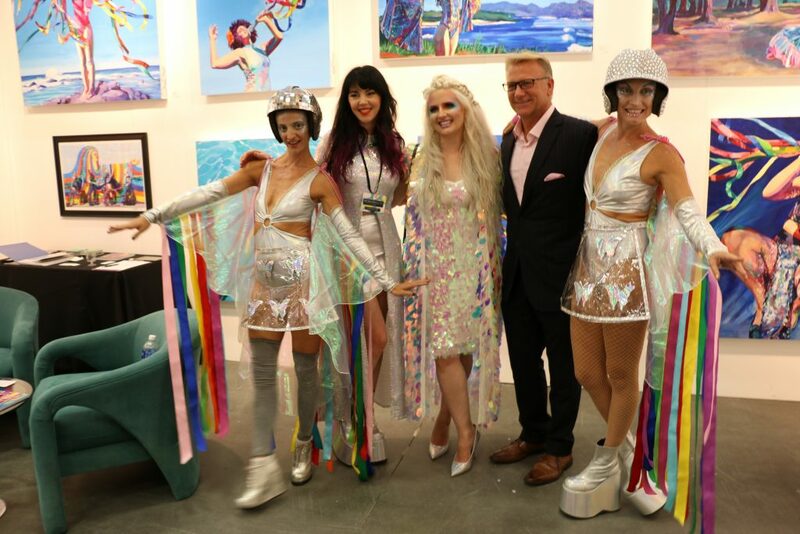 The new Art San Diego kicked off last night with the Opening Night Preview Party, and more than 3,500 collectors, gallery owners, art dealers, and cultural connoisseurs were there to experience it. Showcasing a mural depicting gray whales at sunset by the famed marine-life artist Robert Wyland, the Wyland Center at the Del Mar Fairgrounds—Art San Diego’s new home—was the perfect backdrop for the best the contemporary art world has to offer. Attendees strike a pose at in front of the Wyland Center at Art San Diego. 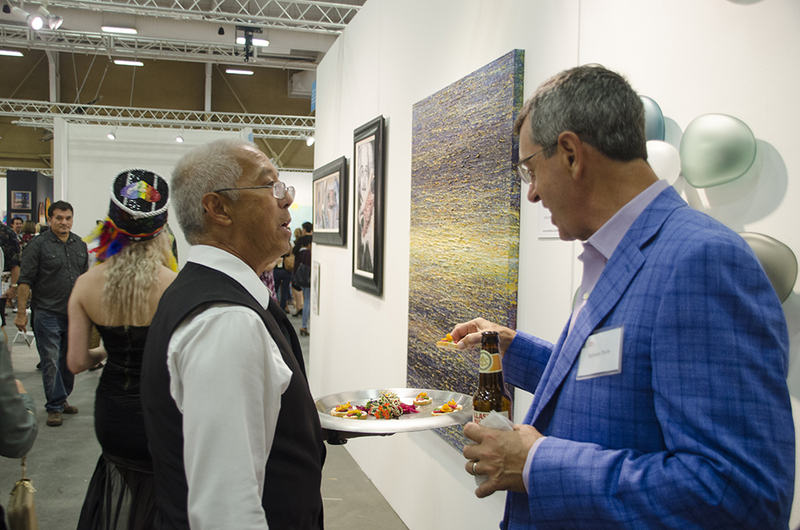 An art lover snags a canapé in front of Alexander Salazar’s booth. 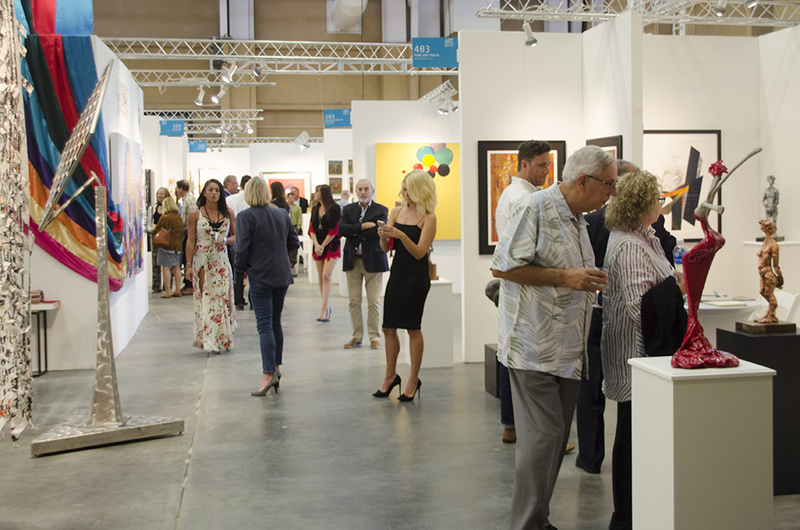 Attendees enjoy the works of more than 65 international galleries and studio artists. 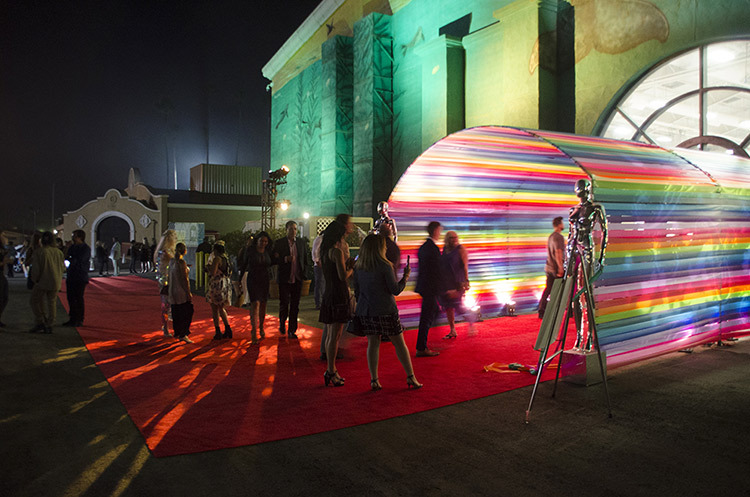 Attendees were greeted by a red carpet, a 50-foot-long ribbon-wrapped tunnel by Sarah Stieber and Theresa Finch, and the classy music Third Coast Jazz. The VIP Lounge was standing room only, and servers strolled the exhibition space with platters of delicious canapés and refreshing strawberry gazpacho. 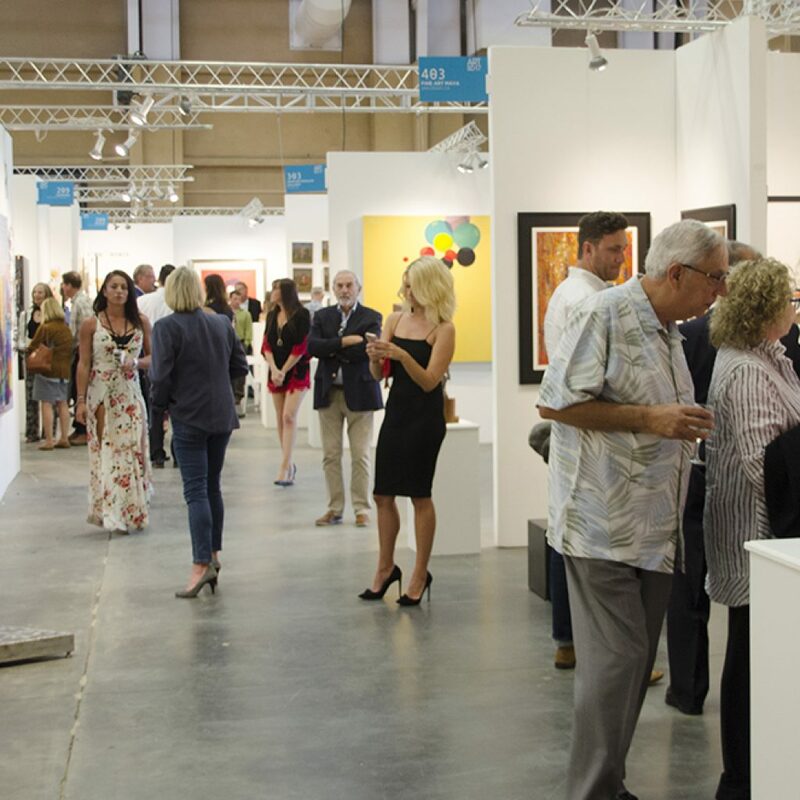 Attendees sipped on wine as they wandered through aisles of whimsical sculpture work, contemporary paintings, landscape photography, and colorfully crafted glassworks—and they weren’t hesitant to take advantage of the opportunity. 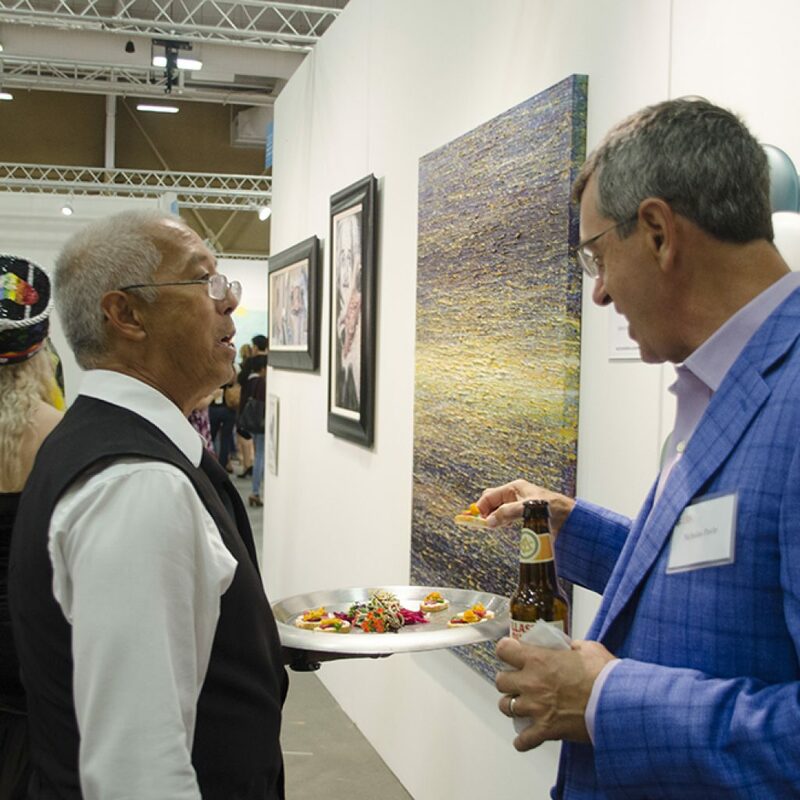 Kate Taylor, Paul Brandejs, Deveren Farley, The Lurie Gallery, Artblend, Arte Collective, James Paterson Fine Art, Alfaddo Studio, and Chad Daly were among the many exhibitors to boast sales. 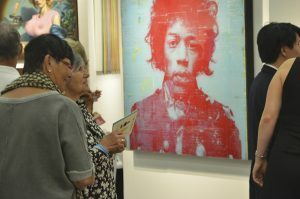 All works of art are up for grabs, so come to Art San Diego early so you have a chance to scout out potential treasures to take home, too! 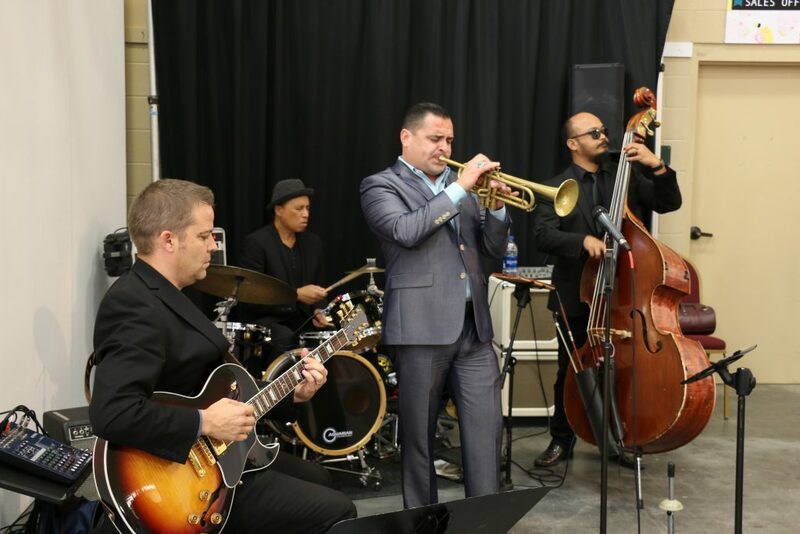 Third Coast Jazz set the perfect mood for the Opening Night Preview Party. 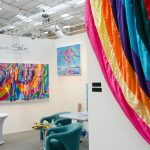 Sarah Stieber brings Rainbow Ribbon Magic to life. 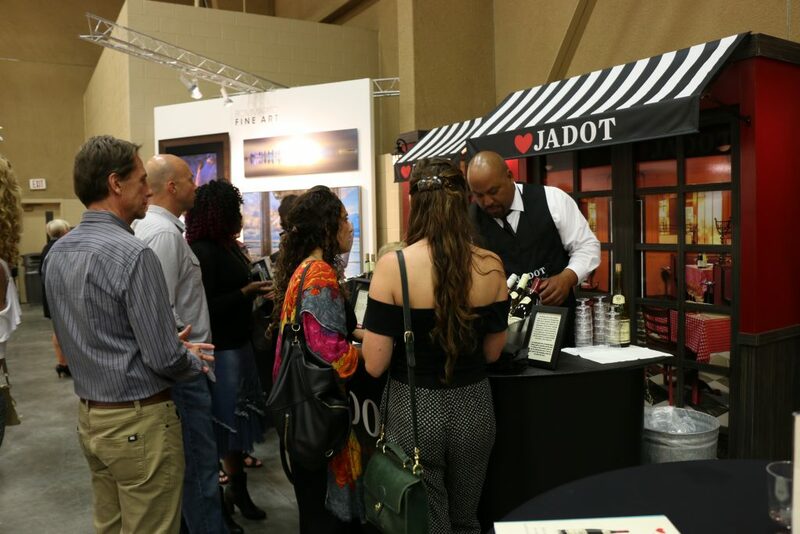 Attendees sip on Louis Jadot wine as they wander through aisles of artwork. A highlight of the evening was when international art dealer Alexander Salazar was surprised with the news that San Diego Mayor Kevin Faulconer proclaimed Sept. 28, 2017, to be “Alejandro Salazar Day.” Salazar and Patric Stillman, director of The Studio Door, will be giving an Art Talk on the art of collecting at 3 p.m. Saturday, Sept. 30. 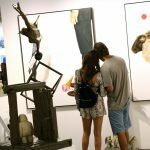 Featuring a slate of more than 65 international galleries and studio artists, Art San Diego, now in its ninth year, runs through Sunday. From live demonstration events where you can watch highlighted artists create their masterpieces to Art Talks where you can listen to thought-provoking talks by international artists, the highly acclaimed programming offers something for everyone. Take a look at the full show schedule to see what’s coming up! 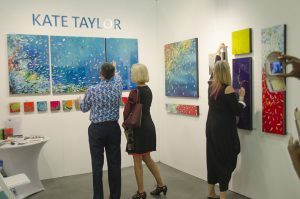 Kate Taylor is one of many artists who boasted sales during the Opening Night Preview Party. 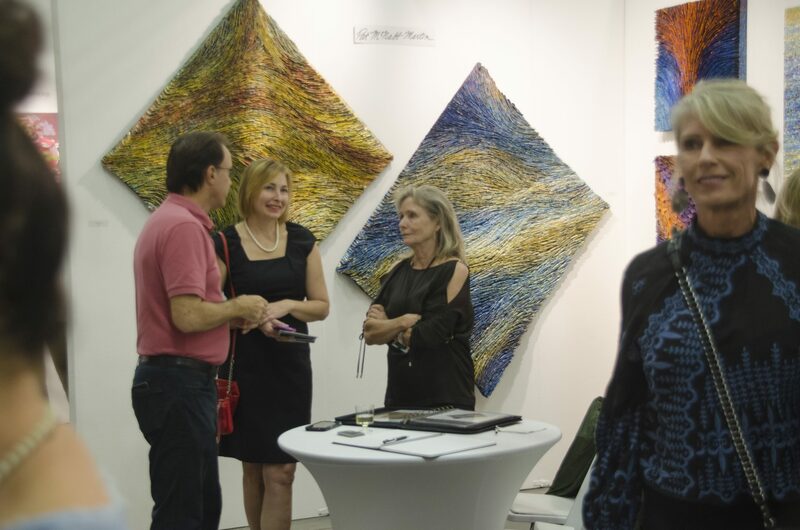 Attendees mingle in front of Alexander Salazar’s booth. 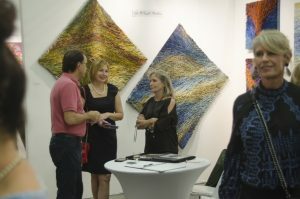 The Evan Lurie Gallery attracts art lovers. We’ll keep you posted every day on the latest happenings at the show. Make sure to follow Art San Diego on Facebook, Twitter, and Instagram for all the latest news and pics. We hope to see you there this weekend!